How many times after a workout have you wished for a quick & easy way to clean up? Maybe you have to return to work, rush to a meeting or have 10 errands before you can go home & shower. Enter HyperGo wipes! See below! These are not ordinary wipes. They are giant 12 x 12 inches of clean-up-your-sweat towels! They are pre-moistened, contain no alcohol, sulfate or fragrance. They are also hypoallergenic and infused with vitamin E and aloe. 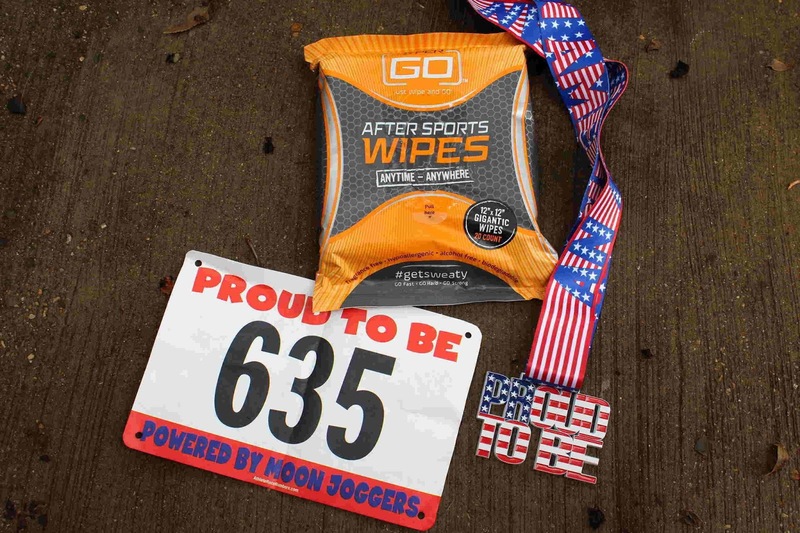 HyperGo wipes are gentle enough for sensitive skin yet tough enough to remove sweat & stink! 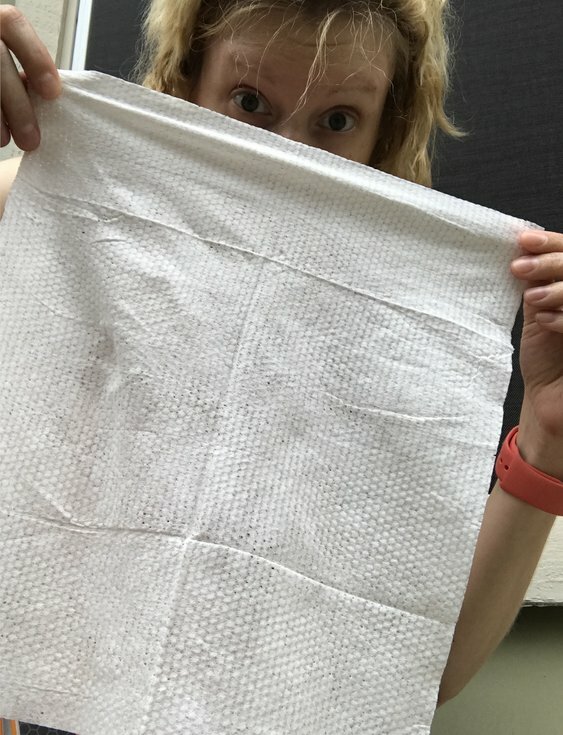 I love the large size of HyperGo wipes! Gone are the days of having to use multiple baby wipes to clean up. These towelettes are large enough to use, fold up & use the other side. I was so impressed with how just one took care of my post workout sweatfest! I tend to have sensitive skin & can break out from new products. 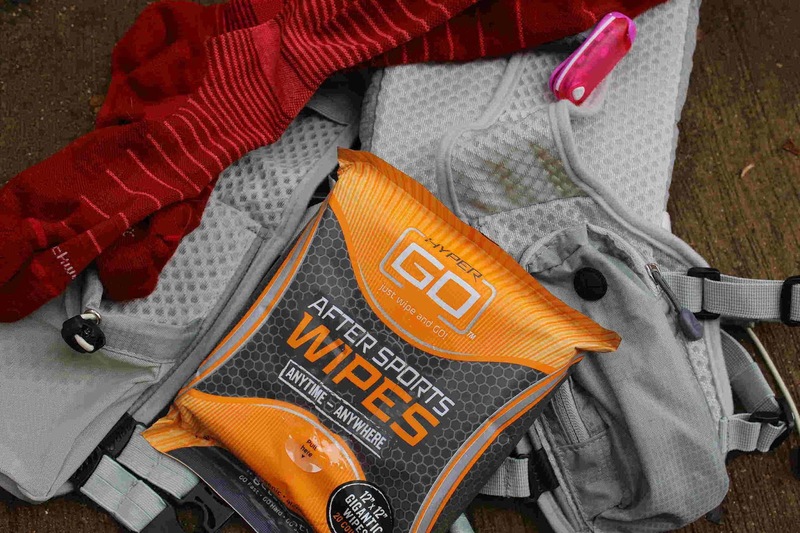 HyperGo wipes never caused my skin any irritation. They left my skin feeling soft and smooth, unlike most other wipes which dry out skin. I also like how the workout stink did not creep back after using them. HyperGo completely removed all body odor! After years of being an athlete, gym rat & race runner I have always searched for a large sized sweat wipe that didn't dry out skin. I'm generally quickly dashing off to be somewhere after a workout & need a quick was to refresh. HyperGo is the exact product I've always wanted. 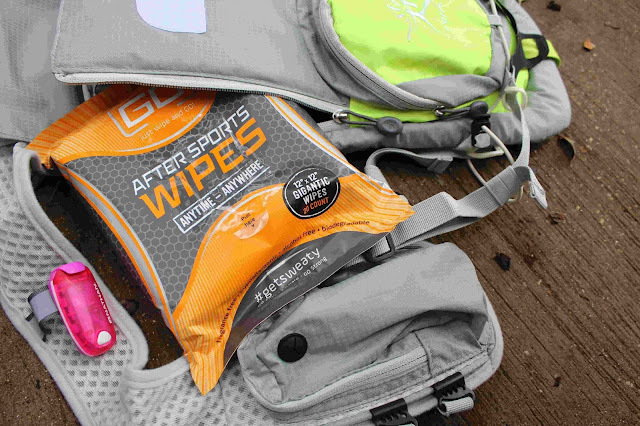 You seriously need try HyperGo wipes! You will be impressed with how clean & non-smelly you are after using them! Check them out on their website here! 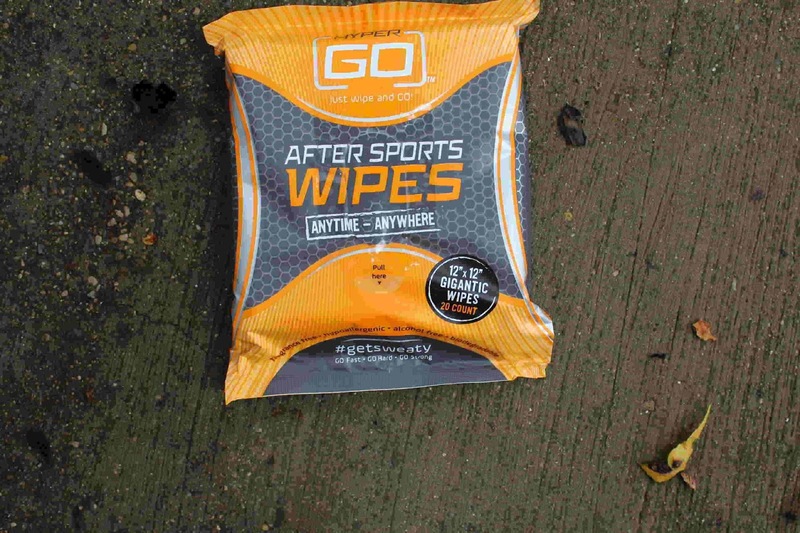 HyperGo Wipes provided me with wipes in exchange for my honest opinion & review. All opinions expressed are my own from my experiences. I do not receive any compensation for referring to their sales site. I included my own Sockwell compression socks, running gear and virtual race bib & medal. Find more virtual races on my virtual race calendar here!